Syrian rebels made a new push into Damascus on Wednesday, clashing heavily with troops in the rebellious suburbs of the capital and firing mortars at a presidential palace and a Palestinian refugee camp, activists said. The regime stronghold of Damascus has seen a surge in violence this week with some of the fiercest clashes in months. In recent days, opposition fighters also stepped up assaults on high-ranking supporters of President Bashar Assad in the capital. The rebels also have been trying to break the resistance of a pro-government Palestinian faction, which could drag the half million Palestinian refugees in Syria into the civil war. The new challenge from rebels in the capital comes as the U.S. and Britain take steps to bolster the fragmented Syrian opposition. British Prime Minister David Cameron said his government planned to change its policy and deal directly with opposition military leaders. 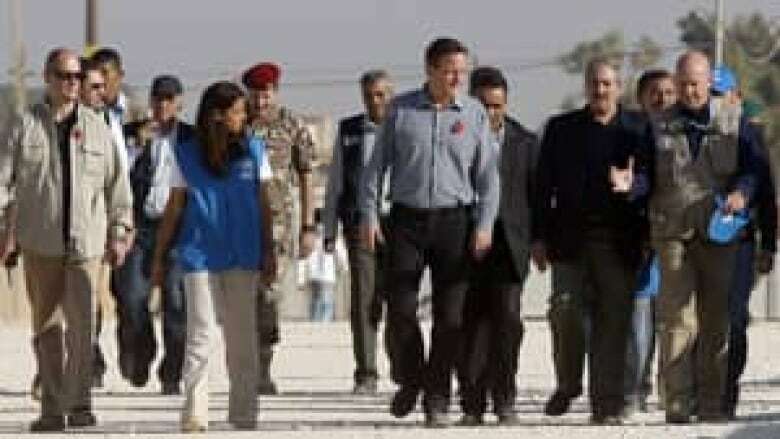 Previously, Britain has had contacts only with exile groups and political opposition figures inside Syria. He urged newly re-elected President Barack Obama to join Britain in opening direct talks with rebel fighters, and said they must do more to end the civil war that has killed more than 36,000, according to activists' tallies. Rebels fired several mortar rounds at the Syrian president's residence in the Muhajireen neighbourhood in central Damascus on Wednesday morning, but failed to hit their mark, said Bassam al-Dada, an adviser to the commander of the Free Syrian Army, Col. Riad al-Assad. "This was a very special operation that was planned for a while," al-Dada said by telephone. There are two presidential palaces in Damascus. One is located in Muhajireen district in northwestern part of Damascus, and is known as the Muhajireen Palace. The other residence is known as the People's Palace and it's located on Mount Qasioun, overlooking the capital. Before the uprising began last year, Assad was known to spend much of his time at the Muhajireen Palace, although he used the sprawling compound on Qasioun mountain to receive dignitaries. Assad's current whereabouts are unknown, and the rebels' targeting of the palace was largely a symbolic strike on the Syrian leader's power. Wednesday's fighting was heaviest in the suburbs of Damascus, including in Ghouta and Harasta to the east of the capital, activists said. The Syrian military has been shelling another suburb, Beit Saham, with tanks and mortars, killing at least 18 people in that neighbourhood alone, according to the Britain-based Syrian Observatory for Human Rights and the Local Coordination Committees. Thaer al-Dimashqi, an activist based in a southern suburb of the capital, said the shelling of Beit Saham also wounded 30 people. "The situation is catastrophic in the area," al-Dimashqi said via Skype, adding that the rebels have launched a major attack on southern neighbourhoods of the capital and anti-government gunmen have seized control of sections of them. "The FSA controls large parts of Tadamon but the reaction by the regime has been brutal with intense shelling," al-Dimashqi said. Observatory chief Rami Abdul-Rahman confirmed the fighting in Tadamon, and said rebels have been lobbing mortar rounds into a nearby Palestinian refugee camp. The pro-regime faction of the Popular Front for the Liberation of Palestine-General Command has been fighting back, Abdul-Rahman said. When Syria's unrest began last year, the Palestinians struggled to stay on the sidelines. But in recent months, many Palestinians started supporting the uprising although they insisted the opposition to the regime should be peaceful. The PFLP-GC, led by Ahmed Jibril, has remained loyal to Assad. In a statement Wednesday, the Popular Committees that are led by the PFLP-GC in Yarmouk called on all Palestinian forces to close ranks in the face of the "terrorism that messes with the security of the Palestinian people and collides against the Palestinian cause." 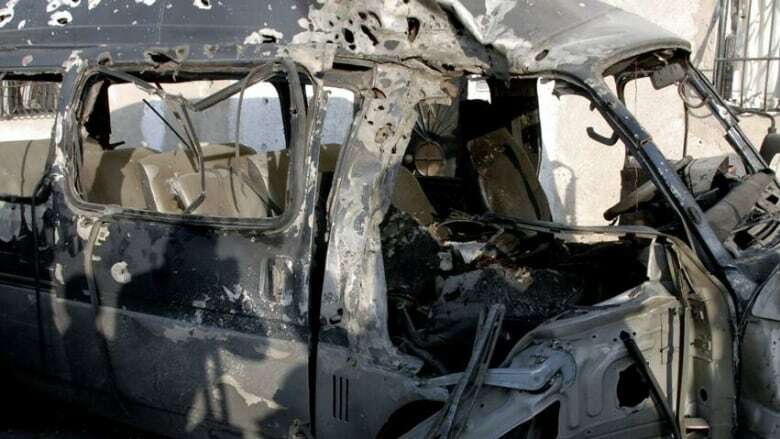 "Armed terrorist groups or the so-called Jabhat al-Nusra" are trying to infiltrate the camp, the statement also said, adding that two members of the committees were killed by mortars and one was wounded. Jabhat al-Nusra is an al-Qaida-inspired group that has been fighting alongside rebel units. While the rebels have been putting pressure on the capital from the south, there has also been a jump in assassinations in Damascus of prominent regime supporters. The SANA state news agency said a "terrorist group" planted explosives under the car of Judge Abad Nadhwah when it was parked in front of his house Wednesday. The bomb was detonated remotely, killing the judge instantly. Assad's government often refers to the opposition fighters as "terrorists." The assassination was the second in two days. The brother of Syria's parliament speaker was gunned down in the capital on Tuesday. A prominent actor, a Syrian-born Palestinian who was an outspoken supporter of Assad, was found dead on Sunday. The family of Mohammed Rafeh said his body bore gunshot wounds to the head, neck and shoulder. In other violence, three people were killed and seven were injured in a separate attack in Damascus when a mortar round hit the upscale Mazzeh 86 district, SANA said. The neighbourhood is predominantly populated by Alawites, an offshoot of Shiite Islam that Assad and many in his regime belong to. Mazzeh 86 is located next to a largely Sunni Muslim district of Mazzeh. The opposition and rebel forces are mostly Sunni Muslims.